I like your word of the year--it is nice to have one to set a tone for the coming months! I am not into resolutions either, but I do just hope to have a good reading year and not be so very distracted by starting books all the time without finishing something first. So easy to say now! ;) Happy New Year Kathy (a little late....). Dear Kathy - these are all such awesome tips on planning for the new year. 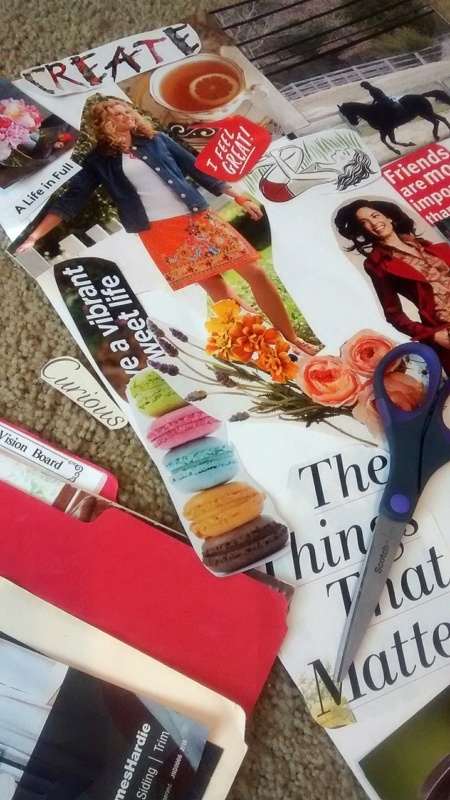 Vision Board sounds wonderful - think I will certainly make one for my studio. Your word for the year is great - love it. Thanks for sharing. I always take away great stuff when I visit you. Hugs! Danielle--Happy New Year, to you, too! I'm going to apply "deeper" to my reading, also: I want to read a few more challenging things in 2017, and maybe even get deeper into my TBR stack :). Debbie--So glad you find it worthwhile to visit! Definitely make a vision board for your studio--it's lots of fun, and as an artist, I think you'll enjoy the visual inspiration.